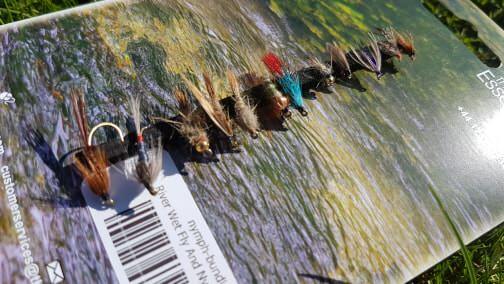 The answer to your prayers, a start-up collection of river wet flies and nymphs. Selected with the beginner in mind but also a great and easy selection for the regular river angler. Comprises of Partridge & Orange, March Browns, BH GRHEs, Iron Blue Nymphs, Snipe & Purples, Pheasant Tails, Czechs, GRHEs, Pheasant Tail Spiders, Greenwell's Glorys, Blue Winged Olives, AK Olive Bugs fly ranges.